Check out my recent pictures on Flikr.com. 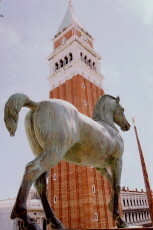 Check out my travel blogs. Santiago: Vineyards in Casablanca Valley. Valparaiso: Sotomayor Square at the port of Valparaiso, on the Pacific Ocean. Atacama Desert: Laguna Verde (elev. 14,300'/4300m), a salt lake fed by hot springs in the high Andes. La Paz: View over city of La Paz from El Alto suburb (elev. 13,000'/3960m ). 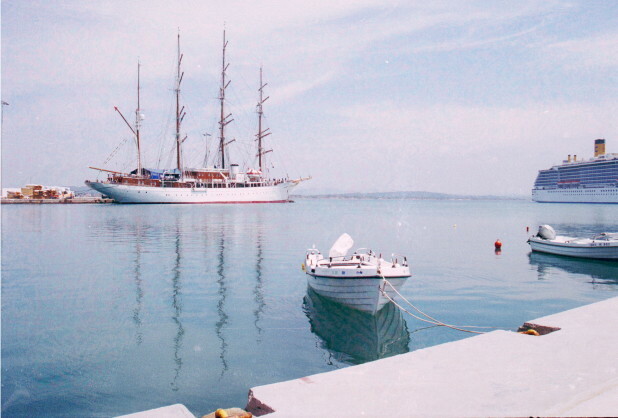 La Paz is a cosmopolitan city with strong presence of Aymara Indian culture. La Paz Province: Sunset at Mount Illimani high camp (elev. 18,200'/5550m), in the Cordillera Real range of the Andes. La Paz Province: Trekking to Chiar Khota Lake (elev. 15,400'/4700m), with view of glaciated peaks in the Cordillera Real range of the Andes. 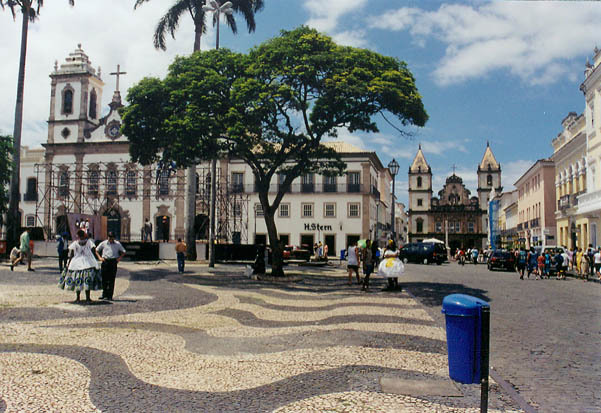 Salvador: Colonial core of Salvador (Terreiro de Jesus), established by the Portuguese as capital of Brazil 450 years ago. Salvador: High bluffs fronting Baia dos Todos os Santos (All Saints' Bay). 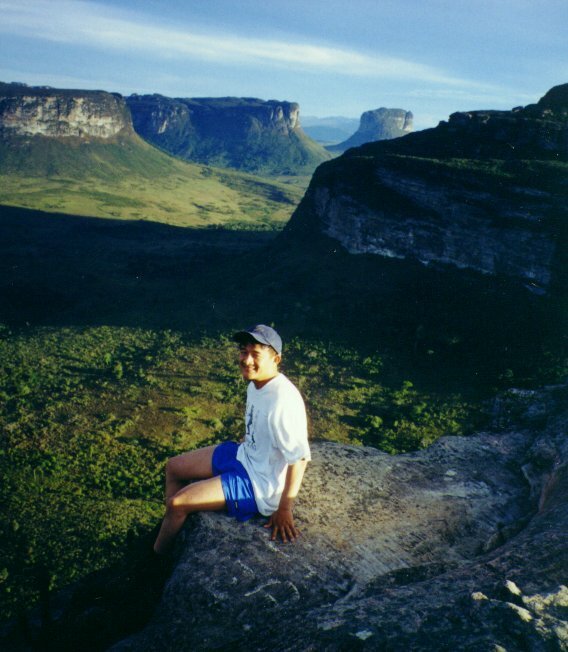 Lencois: On top of 1120m (3675 ft) Morro do Pai Inacio, a peak overlooking the national park of Chapada Diamantina. 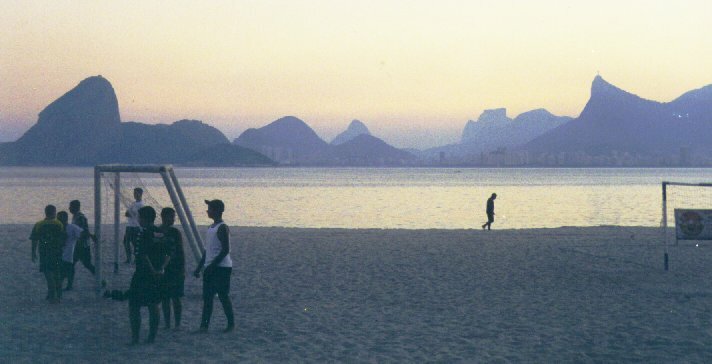 Rio: Futebol (soccer) on the beach at Niteroi, looking across the bay to Rio de Janeiro skyline. 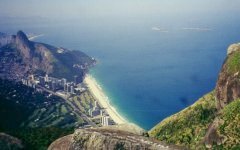 Left: Sugar Loaf (Pao de Acucar); right: Corcovado, the peak on which stands the statue of Christ (Cristo Redentor). 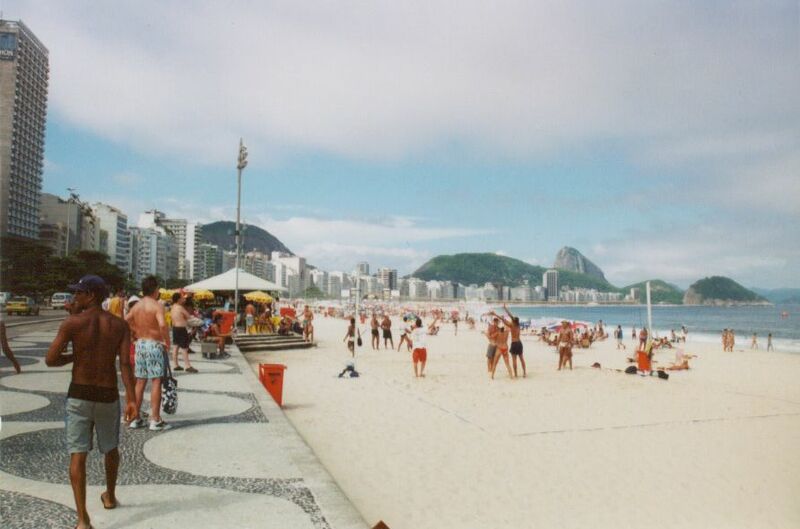 Rio: Walking down Copacabana Beach; Sugar Loaf is in the right background. 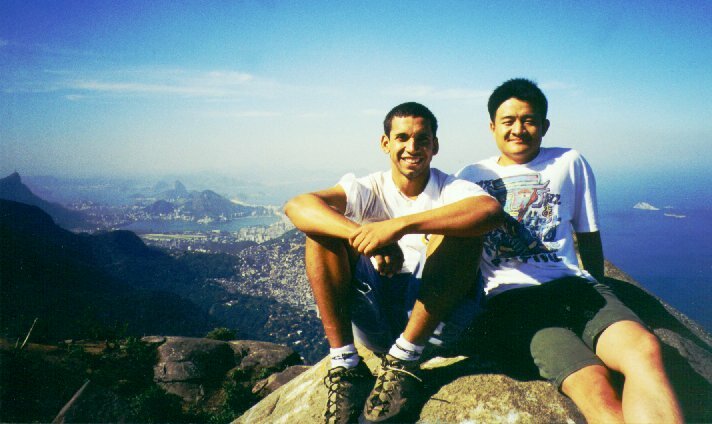 Rio: With Marcio, my climbing guide on the summit of 842m (2762 ft) Pedra da Gavea, a big granite monolith close to the beach and city. 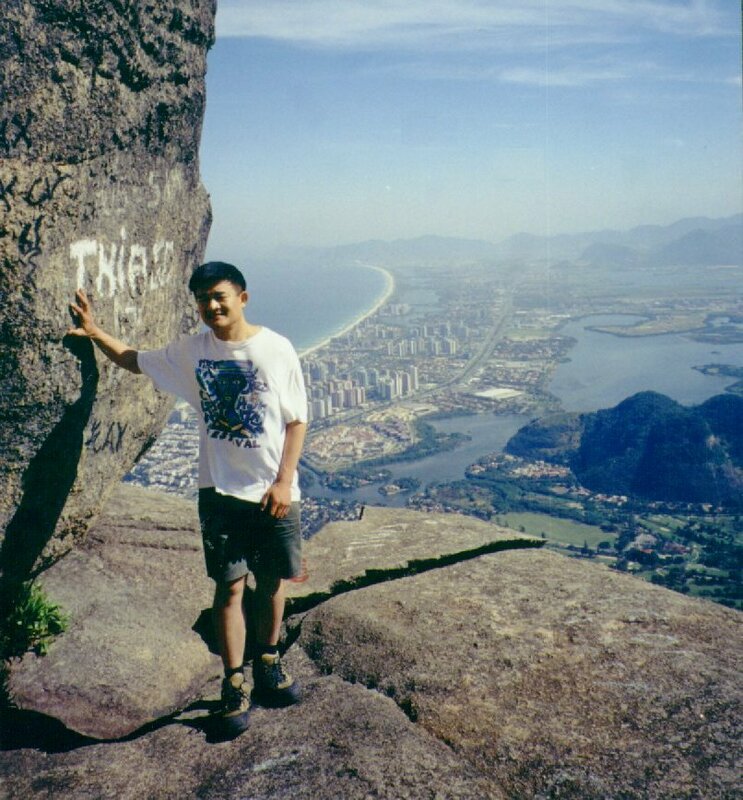 Rio: On Pedra da Gavea looking west over Barra da Tijuca Beach and beyond. 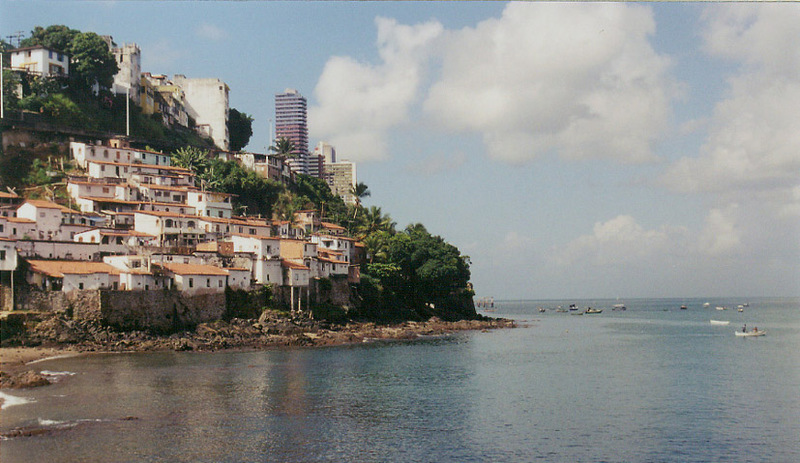 Costa Verde: The mountainous coastline near Angra dos Reis. 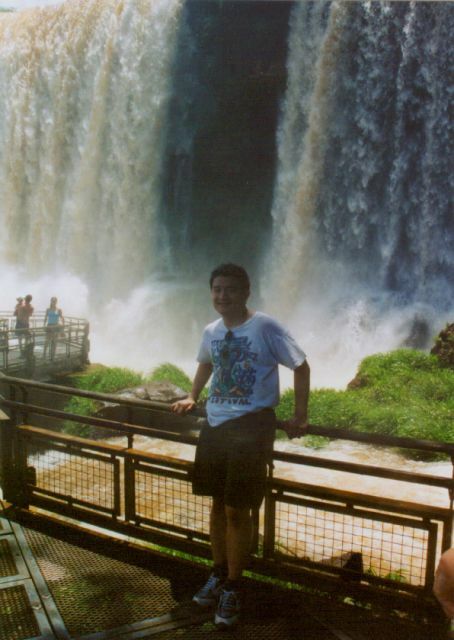 Foz do Iguacu, Brazil: Garganta do Diabo (Devil's Gorge) view point on the Brazil side. 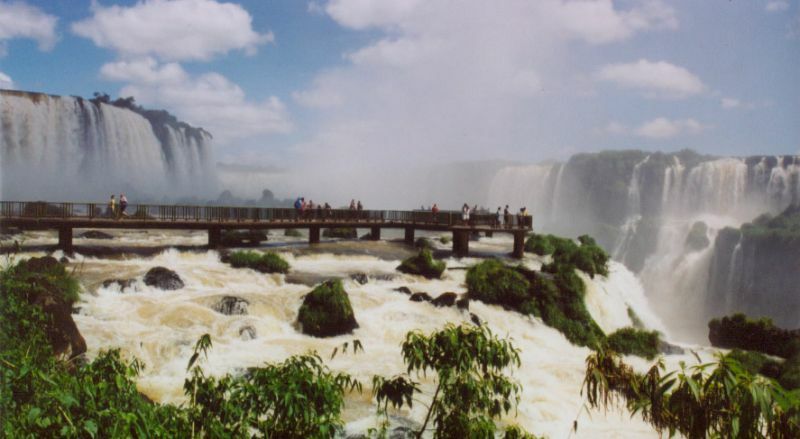 Puerto Iguazu, Argentina: Below Salto Bossetti, a subsidiary fall on the Argentina side. Beach resort at Punta Cana. 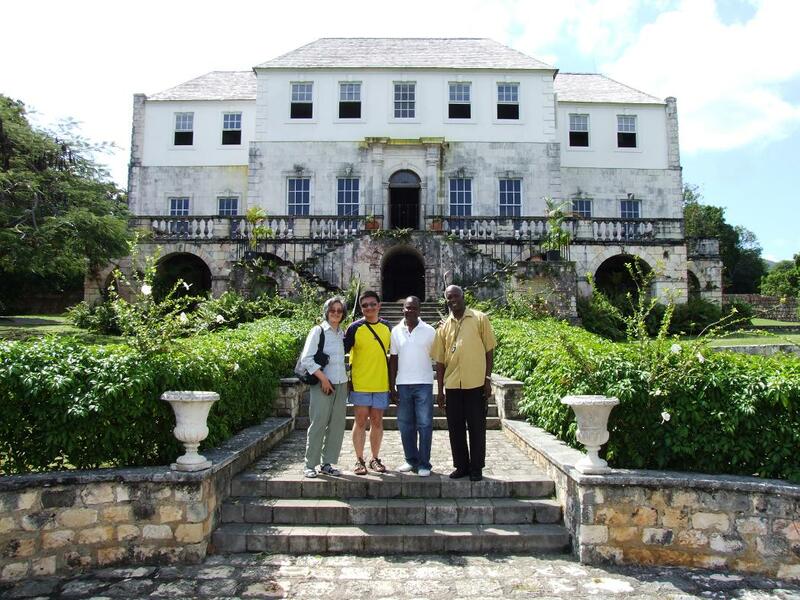 Great House at Rose Hall Plantation, Montego Bay. San Felipe del Morro castle at the western promontory of Old San Juan. Sunset at Cabo Rojo lighthouse. St. John: Overlooking Leinster Bay, and British Virgin Islands beyond. St. John: Snorkeling in Trunk Bay. Lhasa: Buddhist monks at Drepung monastery overlooking the Kyi Chu Valley. Changthang: Snowy ranges over Northern Tibet's Changthang grasslands along the Qinghai-Tibet railway, the world's highest train ride. 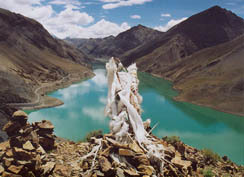 Gyantse: Snow-capped Mount Noijin Kangsang at 7087 meters (23,642 feet) elevation. Istanbul: 1500-year old St. Sophia Church (Aya Sofya in Turkish), the most magnificent relic from the Late Roman Empire (Byzantine Empire). Istanbul's former name is Constantinople. 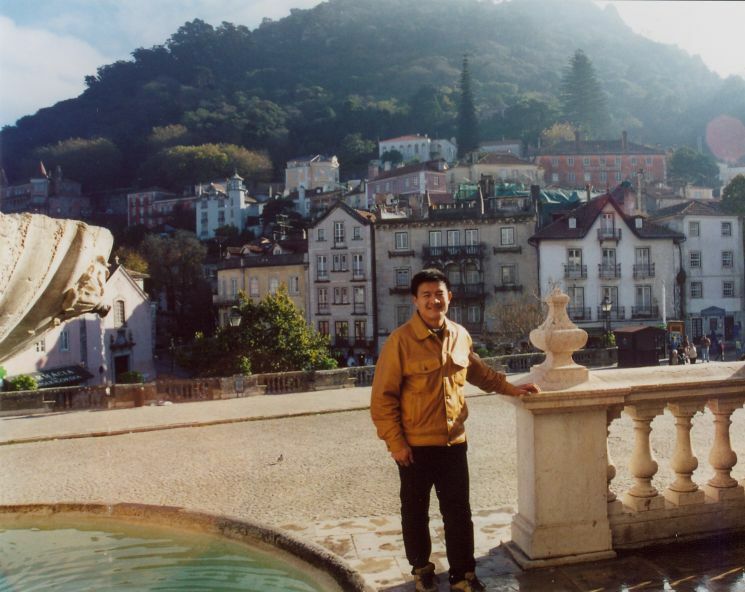 Istanbul: At the fountain court in Topkapi Palace, formerly the royal residence of the Ottoman Turkish Empire. Istanbul: Dolmabahce Palace, the royal residence of the Ottoman Turkish Empire in the 19th and 20th centuries. Istanbul: Kucuksu Palace, a former royal hunting lodge on the Bosphorus Strait. Istanbul: Fishermen on Galata Bridge crossing the Golden Horn harbor. Pamukkale: Travertine hot spring pools at Hierapolis, a Roman spa town. Marmaris: View of Aegean Sea with ancient Greek ruins on Cleopatra Island. Antalya: Mediterranean coastline with backdrop of snow-capped Taurus Mountains. Side: Ruins of the Temple of Apollo and Athena. Ucagiz: Ancient Lycian ruins sunken in the Mediterranean Sea. 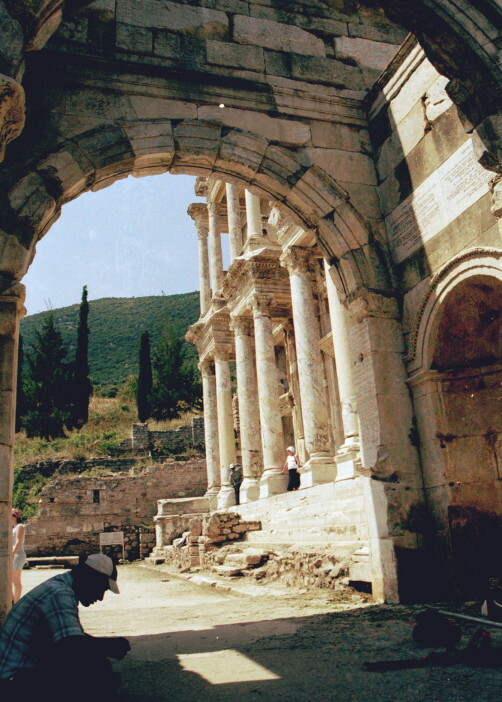 Ephesus: Ruins of the ancient library of Ephesus (Efes in Turkish), once the 5th largest city in the Roman Empire. Barcelona: Unfinished Sacred Family Cathedral (La Sagrada Familia) designed by Antoni Gaudi. Barcelona: Exquisite bridge in the Gothic Quarter. Barcelona: Parc Guell's fantasy architecture by Antoni Gaudi. 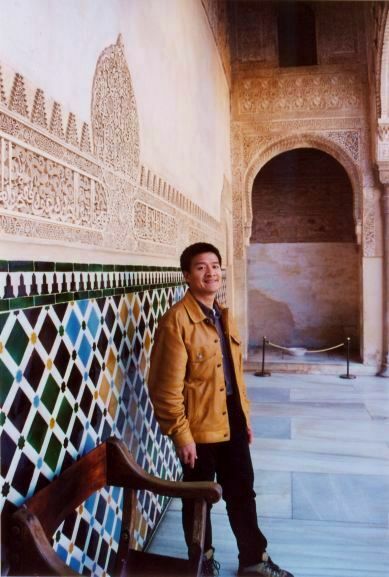 Granada: At the palace of the Nazarids in the magnificent Moorish fortress of Alhambra. Granada: Alhambra Fortress in front of snow-capped Sierra Nevada. Granada: Generalife Gardens, the Nazarid Sultans' summer retreat. Cordoba: Statue of Maimonides, Jewish philosopher during the Cordoba Caliphate. Malaga: Majestic coastal view from Gibralfaro Castle. Malaga: Alcazar Castle, palace of Muslim emirs after the collapse of Cordoba Caliphate. 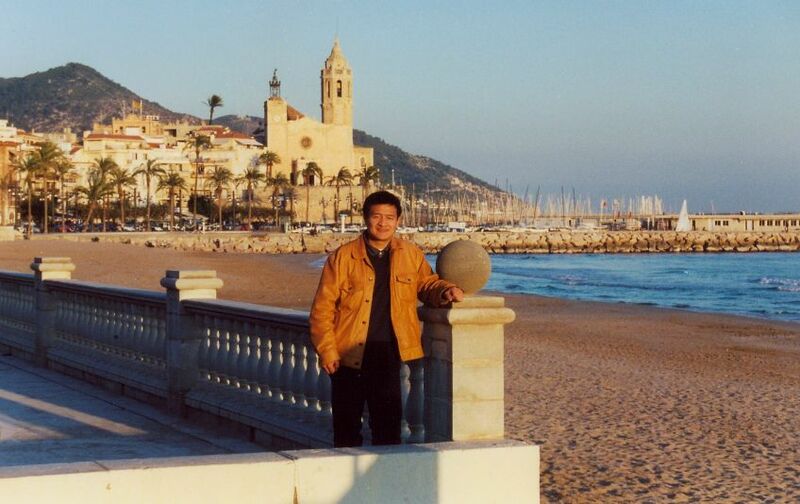 Sitges: At the beach in Sitges, a small resort town on the Mediterranean Sea near Barcelona. Canary Islands: Other-worldly volcanic landscape on Lanzarote Island. Canary Islands: Island of Tenerife with volcanic Mount Teide and the lush tropical coastline in view. 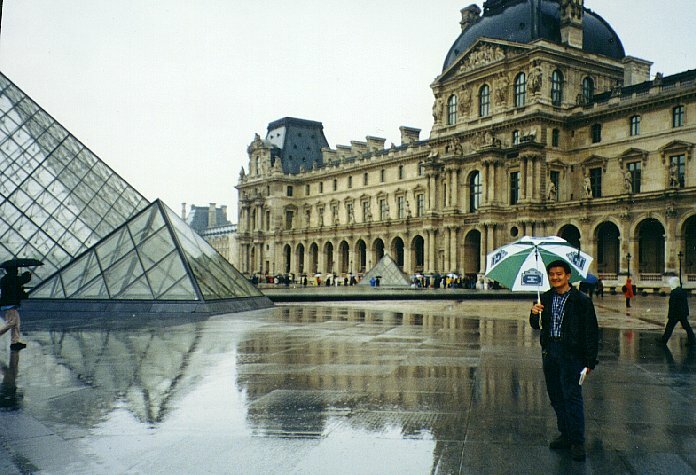 Paris: In the courtyard of Louvre Museum by the glass pyramid. 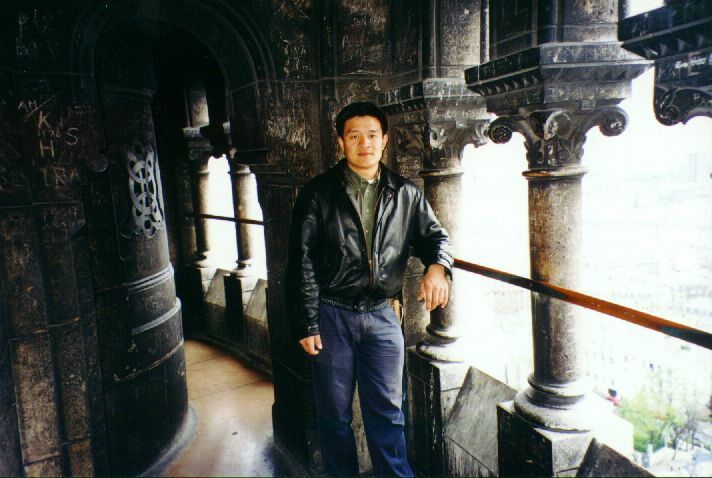 Paris: On top of Basilique du Sacre Coeur (Sacred Heart Cathedral) overlooking the city. 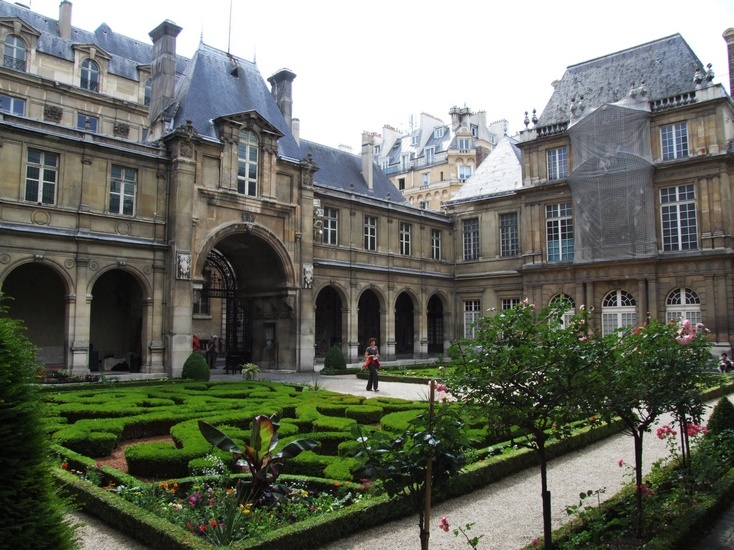 Paris: City of Paris history museum in the Marais district. 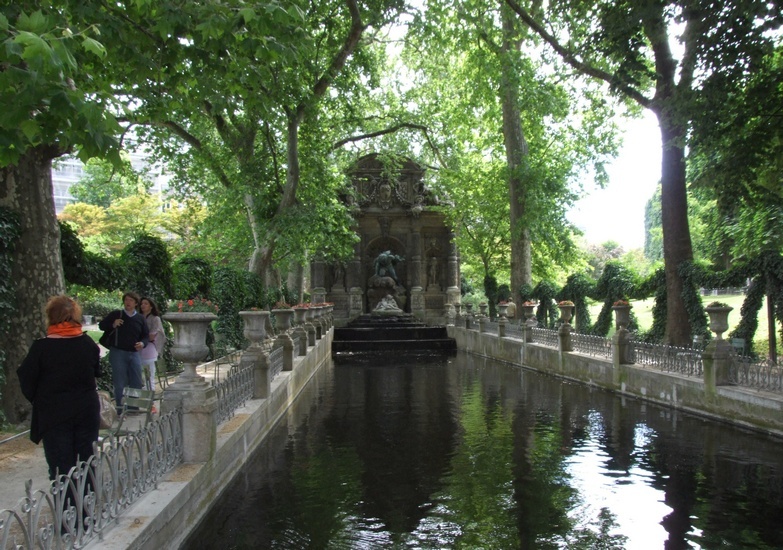 Paris: Medici Fountain at the Luxembourg Palace, a favorite park. 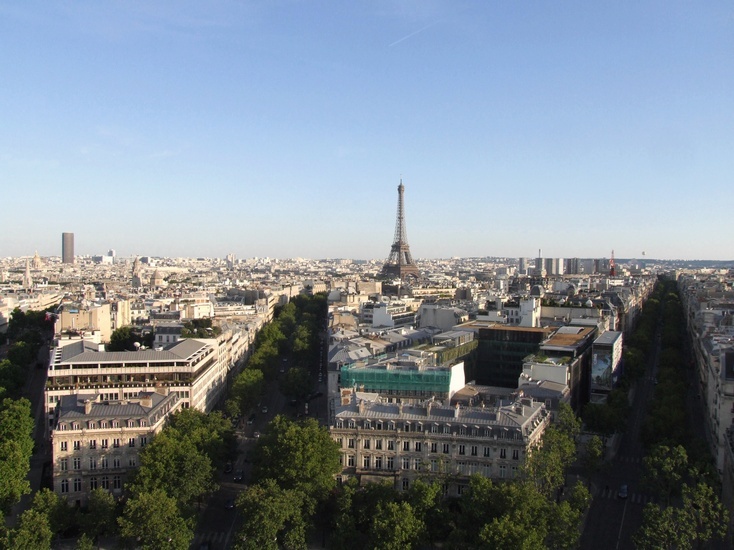 Paris: Overlooking skyline of Paris and the Eiffel Tower from the Arc de Triomphe. 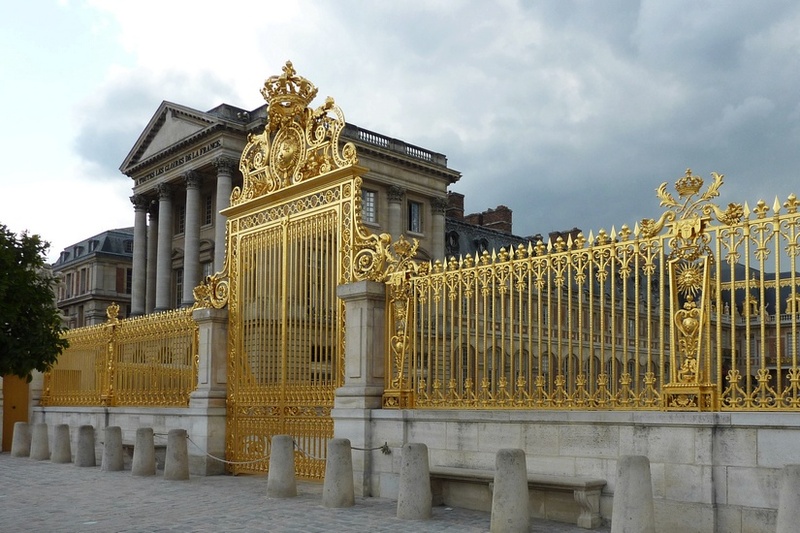 Versailles, Ile-de-France: The Golden Gate of Versailles Palace. Ile-de-France: Overlooking the gardens of Vaux-le-Vicomte Chateau. 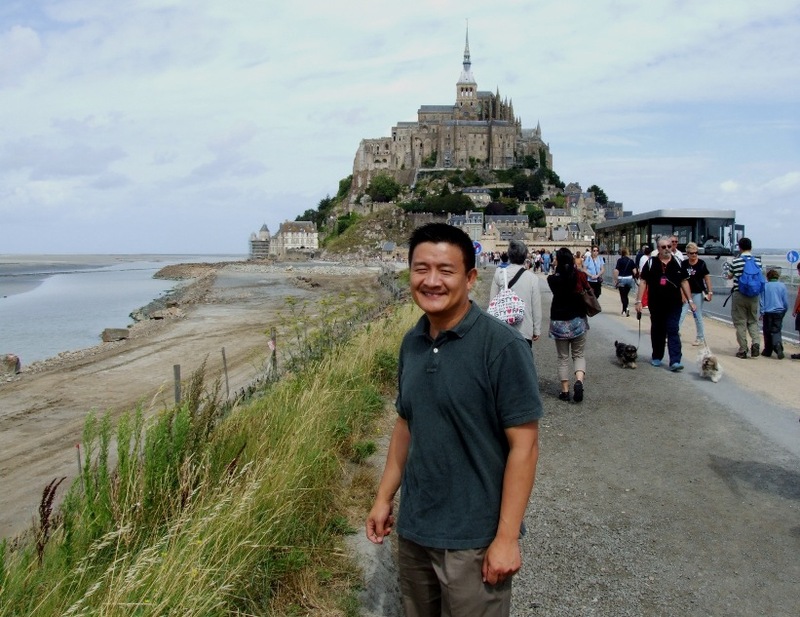 Normandy: At Mont St. Michel, a medieval fortress on an island in the sea. Amboise, Loire Valley: Chateau Amboise. Chamonix, French Alps: View toward the Mer de Glace glacier from Montenvers train station. Chamonix, French Alps: Tunneling into the Mer de Glace glacier. Avignon, Provence: The fabled Bridge of Avignon over the Rhone River. Gordes, Provence: The hill town of Gordes. Cassis, Provence: A calanque (inlet) with moored yachts. 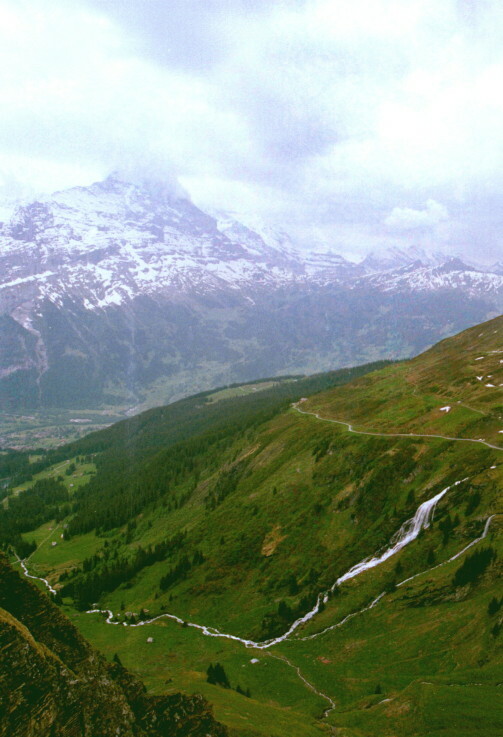 Grindelwald: Waterfall in front of the Eiger peak in the Bernese Alps. 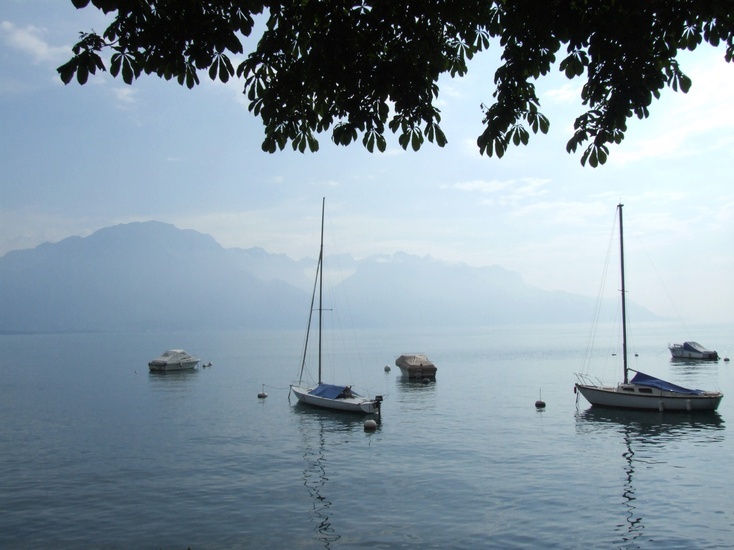 Montreux: Lake Geneva and the Alps mountains beyond. 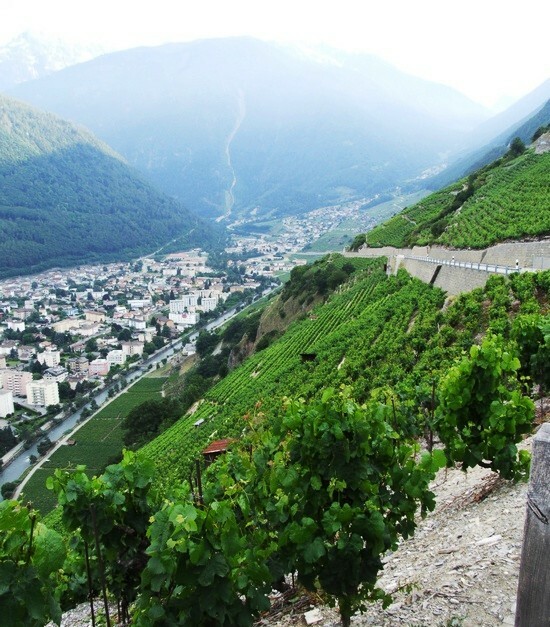 Martigny: Vineyards on the foothill of the Valais Alps. Athens: The Parthenon Temple on the Acropolis (High City) of Athens. Katakolon: Enchanting port of Katakolon, near ancient Olympia. Valletta: View across the Grand Harbor to the fortified city of Senglea (Isla). 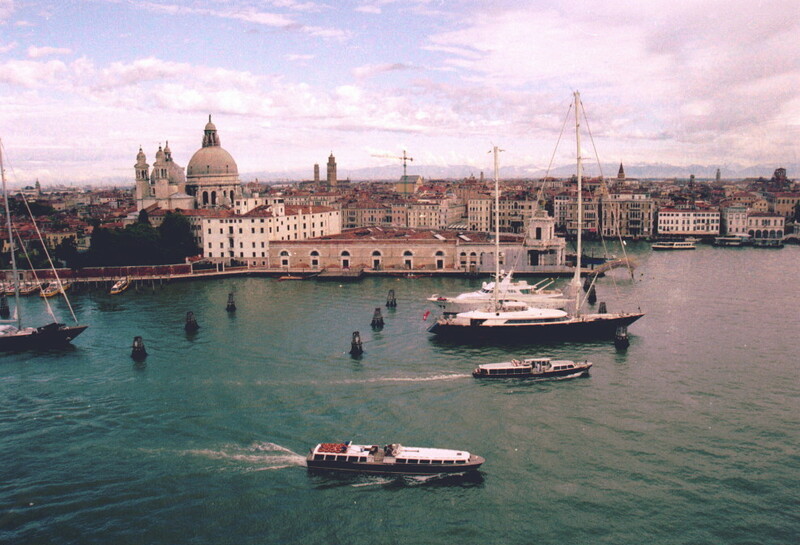 Venice: Church of Santa Maria della Salute, at the mouth of the Grand Canal. 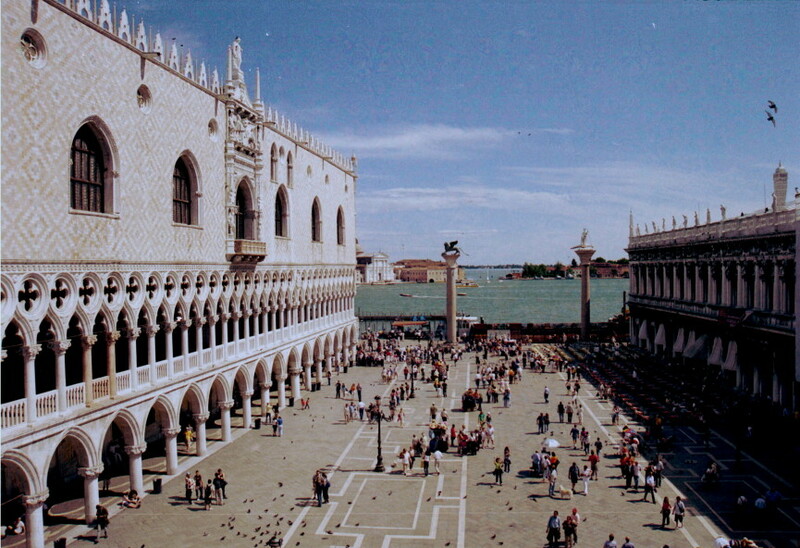 Venice: The Ducal Palace facing San Marco Square, center of medieval Europe's wealthiest civilization. 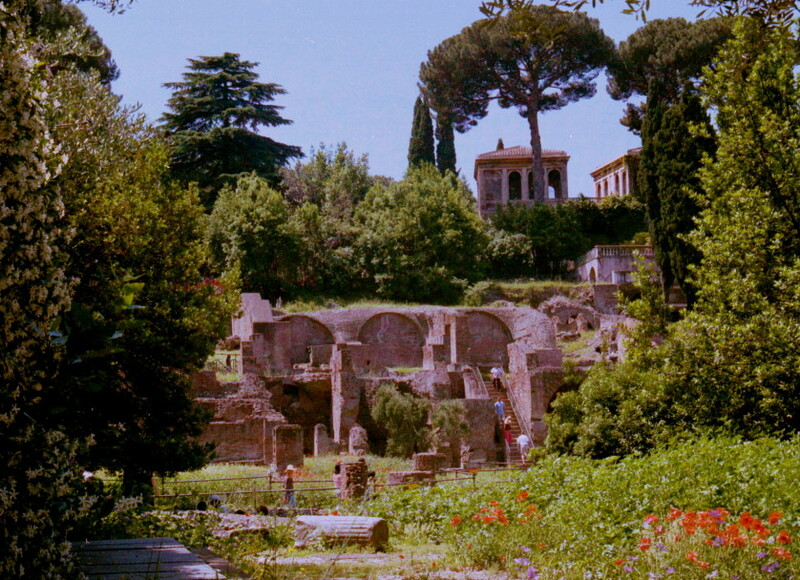 Rome: Idyllic Roman villas on top of Palatine Hill overlooking ruins of the Roman Forum. 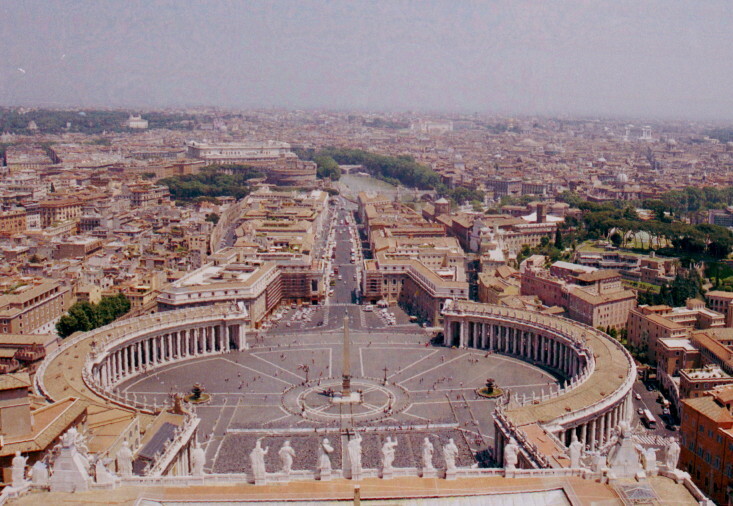 Rome/Vatican City: View of St. Peter's Square from the very top of St. Peter's Cathedral. 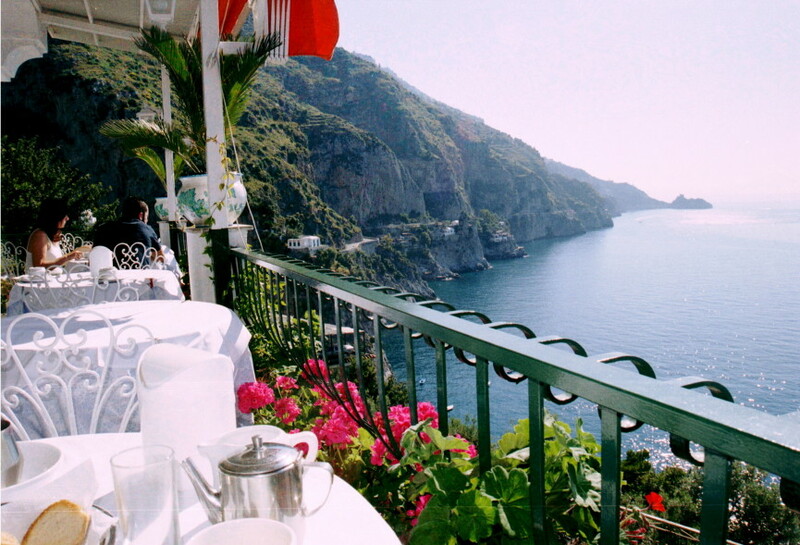 Amalfi Coast: Breakfast in Praiano, a village on the stunning Amalfi Coast. 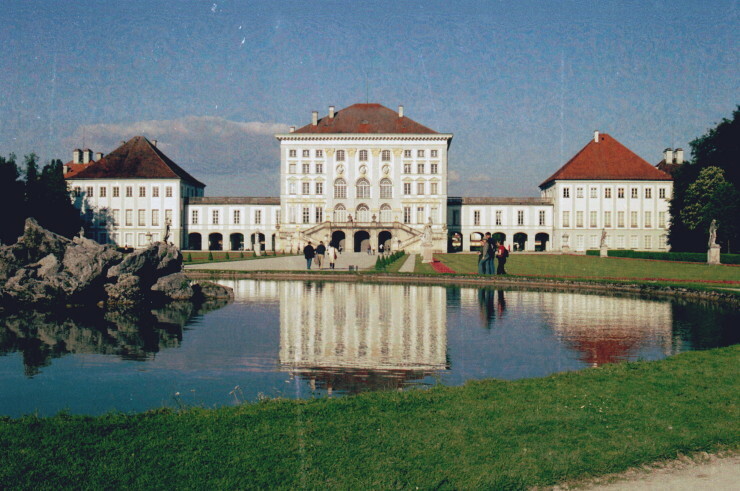 Munich: Nymphenburg Castle, formerly a residence of the Bavarian kings. 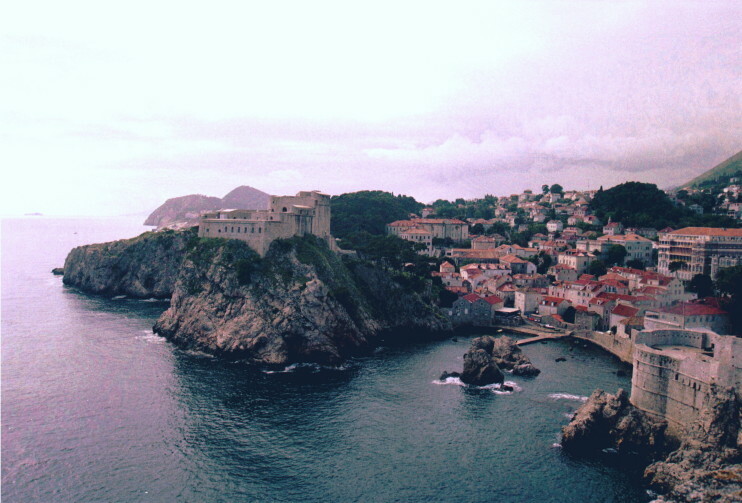 Dubrovnik: Majestic fortresses occupying high bluffs above the Adriatic Sea. 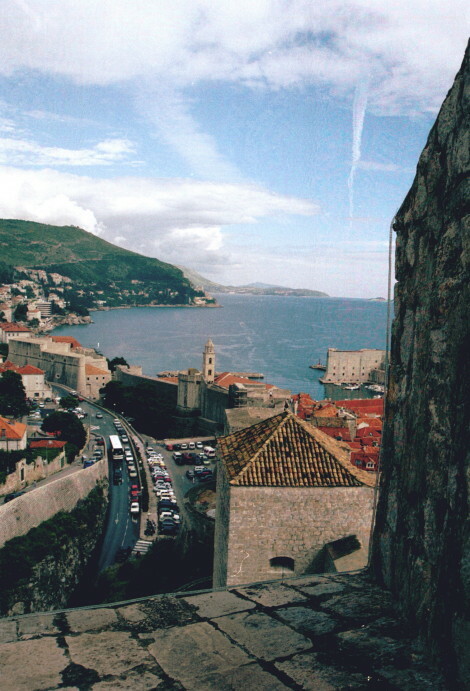 Dubrovnik: Harbor of the old city of Dubrovnik (Ragusa in Italian) on the incredible Adriatic coast. Sintra: At the Palacio da Vila, a former royal retreat nestled in enchanting Sintra Range. 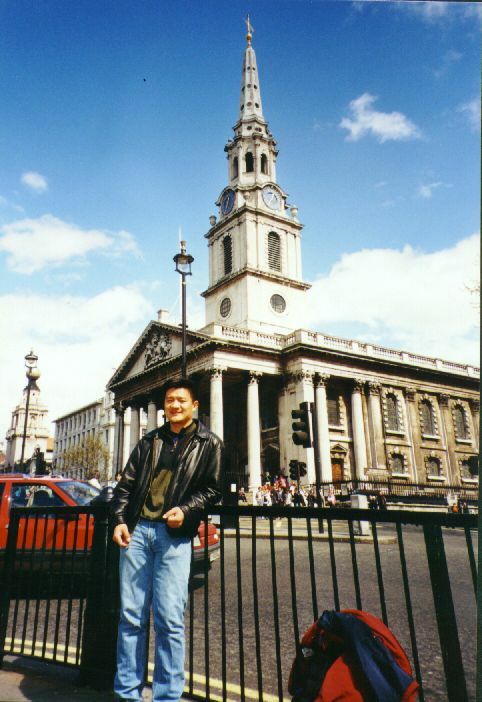 London: At Trafalgar Square by the Church of Saint Martin in the Fields. Rabat: Hassan Tower and unfinished marble columns, part of a 12th century mosque by the Almohad Dynasty. Casablanca: Hassan II Mosque, the world's second largest mosque. Cairo-Giza: Great pyramids of Giza and Arabian camels with Cairo and Nile Valley on the horizon. Alexandria: Fishermen in East Harbor, with Fort Qait-Bey in the background. Mount Kilimanjaro: At the Millenium Camp (elev. 12500'/3810m), with Dirk Summers, our porters, and guides. Mount Kilimanjaro: Furtwangler Glacier (elev. 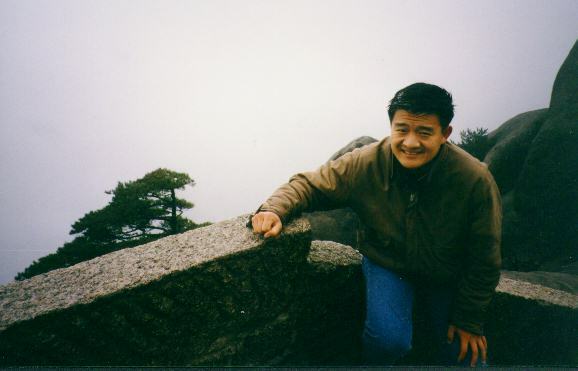 18800'/5730m) on the crater rim of Kibo, on our way to the summit. Mount Kilimanjaro: Glacier-covered summit of Kibo in the mist, seen from Baranco Camp (elev. 13000'/3960m). Ngorongoro Crater Conservation Area: Camping on the rim of Ngorongoro Crater, the world's largest intact volcanic caldera. Ngorongoro Crater Conservation Area: Masai boys herding in the crater (photo by Dirk). Serengeti National Park: Cheetah and safari vehicle on the Serengeti Plain (photo by Dirk). 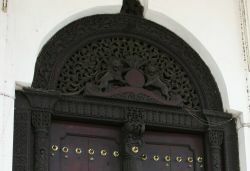 Zanzibar: Old Arabian fort, in center of Stone Town (photo by Dirk). Zanzibar: Playing soccer on the beach, at Stone Town's harbor. Mount Kenya: Mount Kenya's summit in the mist, looming over Austrian Hut (elev. 15,700'/4780m) and Lewis Glacier. Mount Kenya: Mount Kenya's summits, seen from Shipton's Camp. Giant groundsels are in the foreground. Mount Kenya: Celebrating our successful Mount Kenya climb, in Nanyuki with Dirk Summers, our porters, and guides. 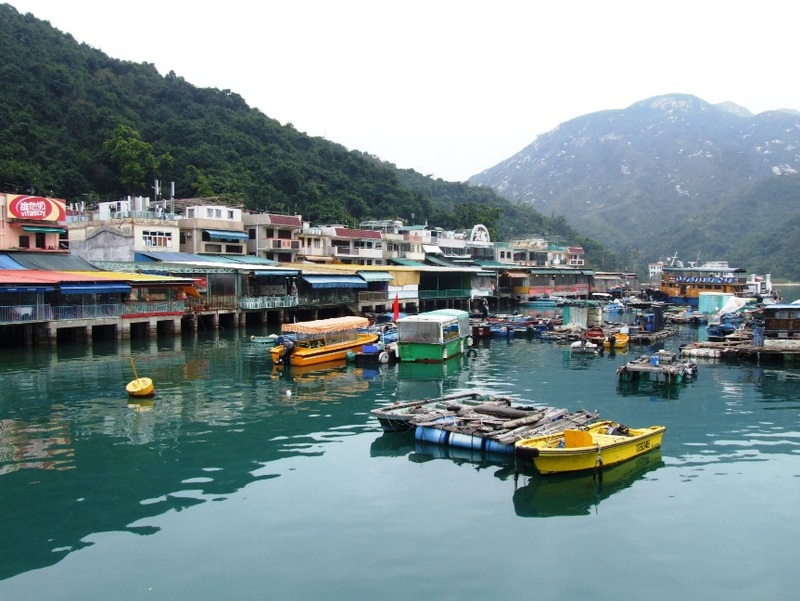 Sok Kwu Wan, a fishing village on Lamma Island, Hong Kong. 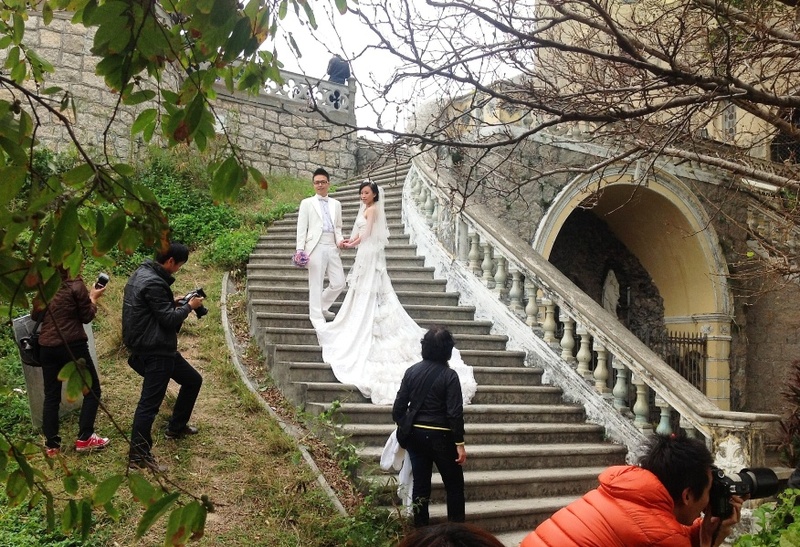 Wedding shoot at the Penha Cathedral, in Macau, a former Portuguese colony. 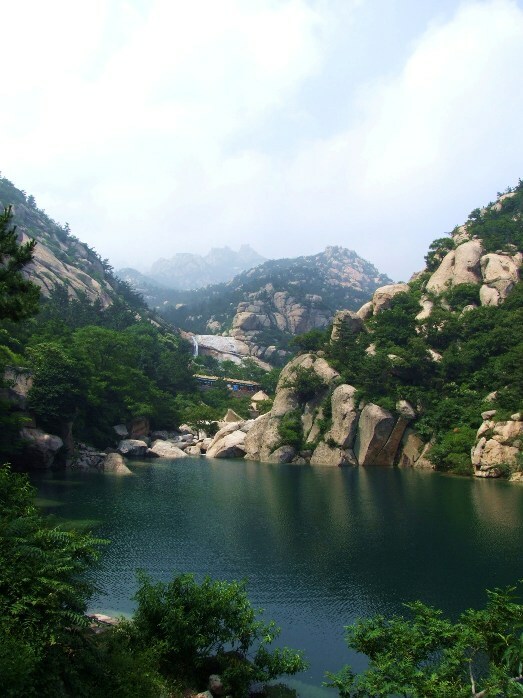 Mount Laoshan, in Qingdao, Shandong Province. 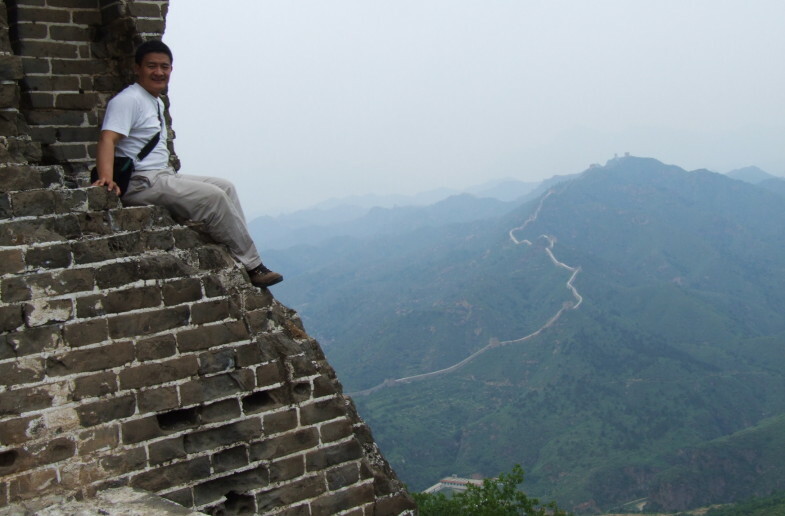 The Great Wall at Simatai, in suburban Beijing. 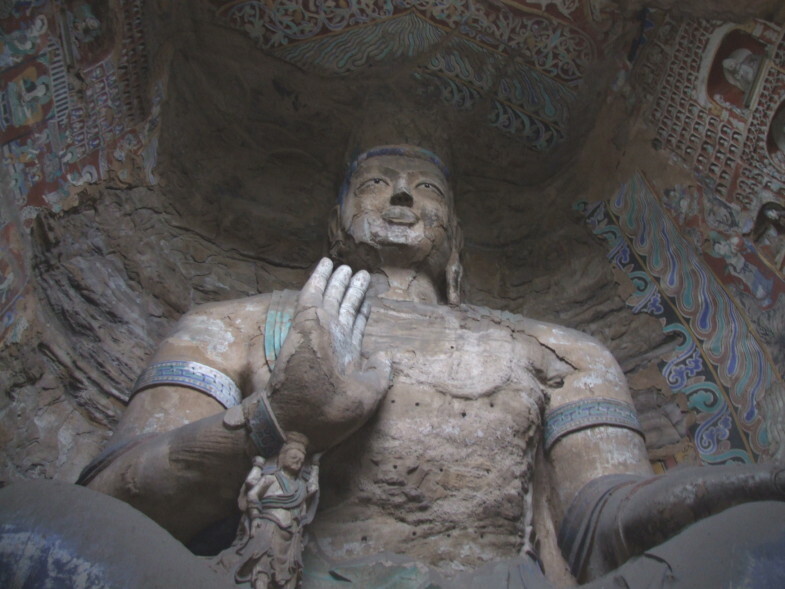 Buddhist Cave Temples (Yungang Grottoes) in Datong, Shanxi Province. Blue Wave Pavilion Garden (Canglangting), Suzhou, Jiangsu Province. 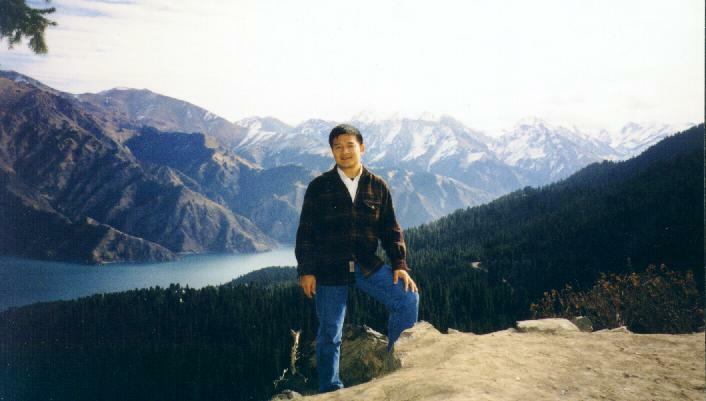 Above Lake Bogda (Tian Chi, or Heavenly Lake in Chinese), surrounded by Tien Shan mountains up to ~5450 m. (~17,800 ft.), near Urumqi, Xinjiang Uighur Autonomous Region. 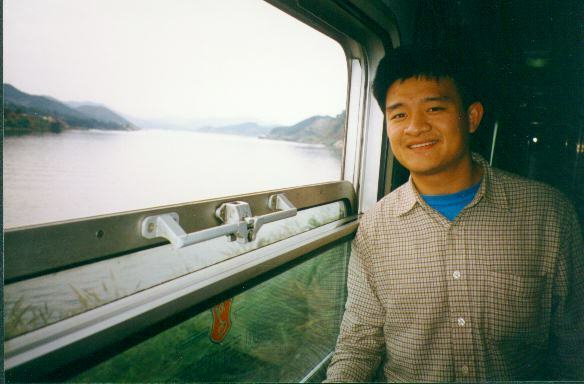 Along Min Jiang River on the train traveling northbound from Fuzhou, Fujian Province. 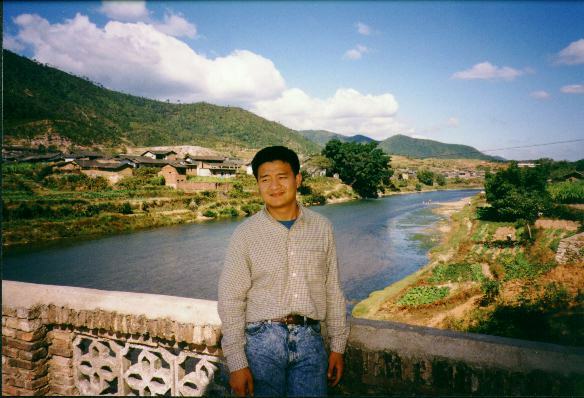 At a mountain hamlet in the Ting Jiang watershed, Western Fujian Province. 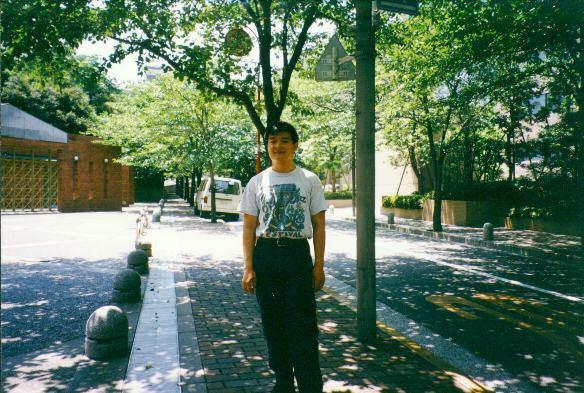 On a quiet street in the Akasaka district of Tokyo. 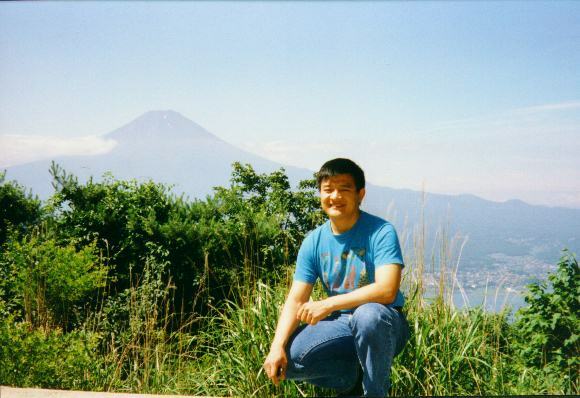 View of Mount Fuji from the mountains near Lake Kawaguchi. 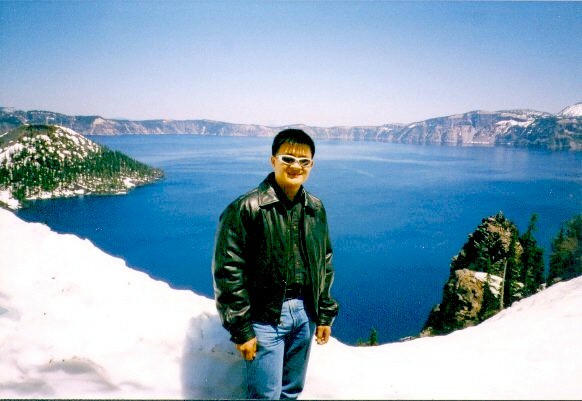 On the rim of Crater Lake in Crater Lake National Park, Oregon. 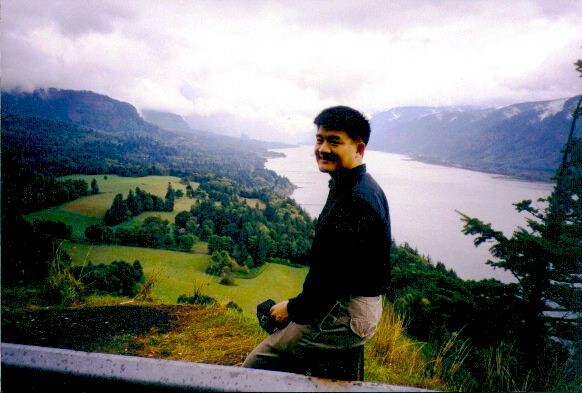 Above the Gorge of Columbia River near Cascade Locks, Oregon (the photo is taken on the Washington state side). 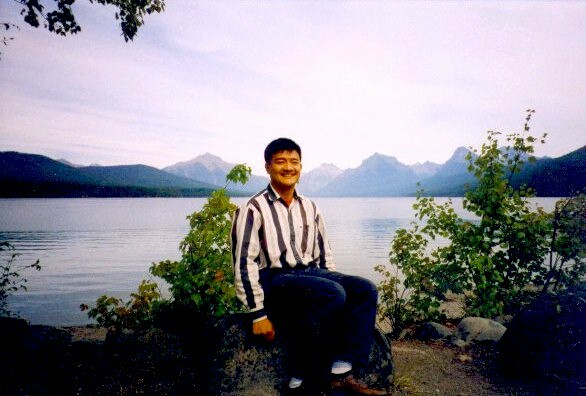 View of the Northern Rockies at McDonald Lake in Glacier National Park, Montana.